Picture yourself driving into the sunset – the wind at your back, and empty road, humming to your favorite song that is playing on the radio. Yep, there is a certain charm to road trips, especially being the driver on these long and almost therapeutic rides. While the destination is important, half the fun is in the journey itself – being immersed in one’s surrounding, with different scenery on either side of your faithful car. If you love to travel like I do, then you will know that driving around a country yourself is a great way of exploring and experiences its nuances, and really getting the feel of your surroundings. Since traveling is on most peoples’ bucket lists, young and old alike, I’ve compiled a list of ten wonderful roads to drive on around the world, that promise some wonderful vistas and life lasting memories. 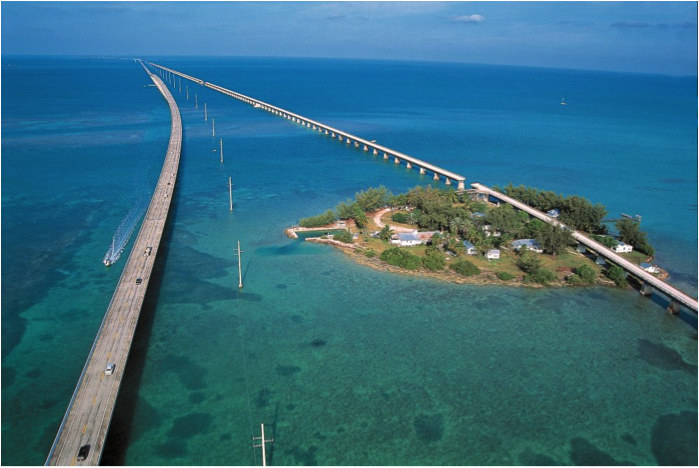 With the ocean on either side, the famous Seven Mile Bridge is an absolutely beautiful drive. You will catch glimpses of seagulls and see the water sparkle as the sun hits it at different angles. A relaxing and comfortable drive, the Seven Mile Bridge also has some stunning sunset views, as the sky and oceans turn into hues of yellow and orange. The White Rim Road is a 100 mile loop, and is rated moderately difficult for high-clearance four wheel vehicles. 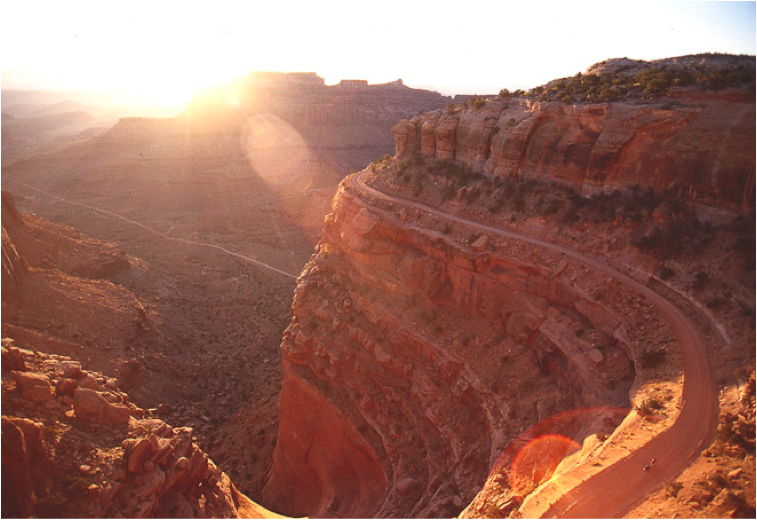 A more challenging drive, the White Rim Trail allows for expansive views of untouched raw terrain, from vast plateaus to deep canyons, with more shades of red and brown you ever though existed. 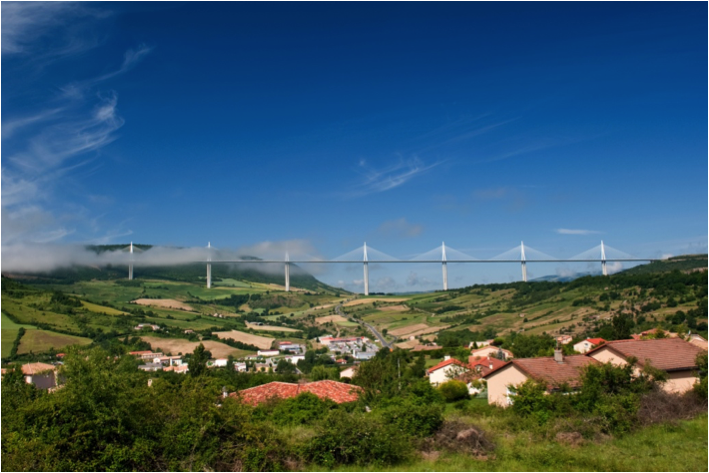 The Millau Viaduct in Southern France is the world’s tallest bridge. It stands taller than the Eiffel Tower, one mast’s summit at 1,125 ft above the base of the structure. The bridge itself is something akin to a work of art, and the vistas of rolling green and yellow hills, quaint French villages are not disappointment either. 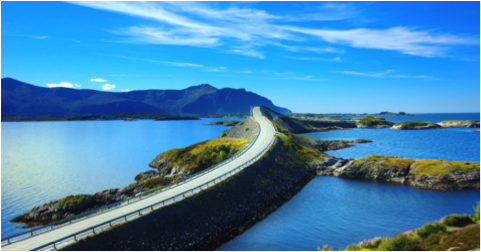 The Atlantic Ocean Road is a 5.2 mile section that runs through an archipelago in Norway. It connects the island of Averøy to the mainland, and passes by Hustadvika, a part of the Norwegian Sea. What this means, is that you can essentially go Island hopping by the rather non-traditional means of a car. 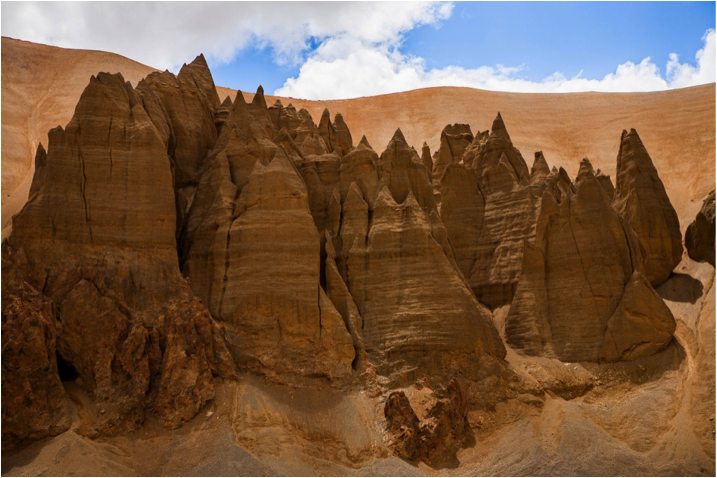 The Leh-Manali Highway is in North India, and is open only for a few summer months in through the year, when all snow has been cleared off. The average elevation of the road is approximately 13,000 ft, with points like the Tanglang La mountain pass that are even higher. As you look down to see mountains, passes, and a whole array of other land features, their magnanimous beauty will take your breath away. The Hana Highway or Road to Hana is a coastal drive in the island of Maui, Hawaii. With the ocean on one side, well beaneath you, and mountains dotted with waterfalls and forest on the other, this road and its views gives meaning to the phrase “Island Paradise”. 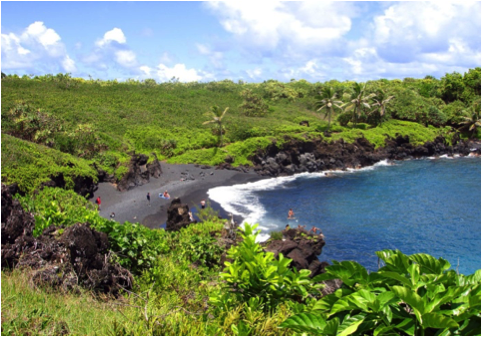 With multiple places to stop along the way, like a secluded black sand beach, or what is known as the “Seven Sacred Pools” this drive with many hairpin turns also gives you the opportunity to stop anytime and enjoy the laid back island life. 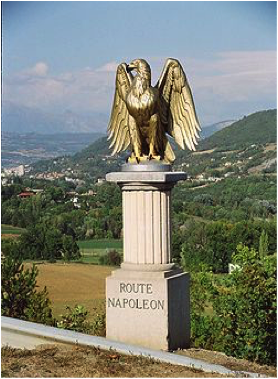 The famous route taken by Napoleon Bonaparte in 1815 on his march from Elba to Grenoble, the Route Napoleon is a must –see for all history buffs. You can trace Napoleon’s footsteps as you witness scenic views all around, in this smooth and steady-paced drive. 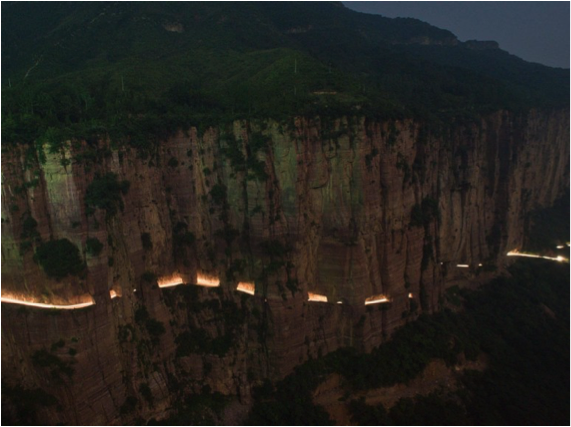 Located in the Taihang Mountains of China, the Guoliang Tunnel Road was built by 13 villagers, over the span of five years. Due to the use of primitive tools, and no training, the edges of the road are rough and can be quite menacing when wet. Nonetheless, this hanging tunnel is a thrilling drive. With little windows inside the tunnel that peer into the valley below, driving through the Guoliang Tunnel will please any adventure-seeker. The famed Garden Route of South Africa is a costal drive that gets its name from the diverse ecological features that encountered here. There are numerous lagoons and lakes that dot the coastline, as well as beautiful little towns like Kynsna and Plettenberg Bay, which shouldn’t be missed. This route will allow you to experience everything from wine tasting stops, tranquil lake scenes and even ostrich riding, if you’re so inclined. 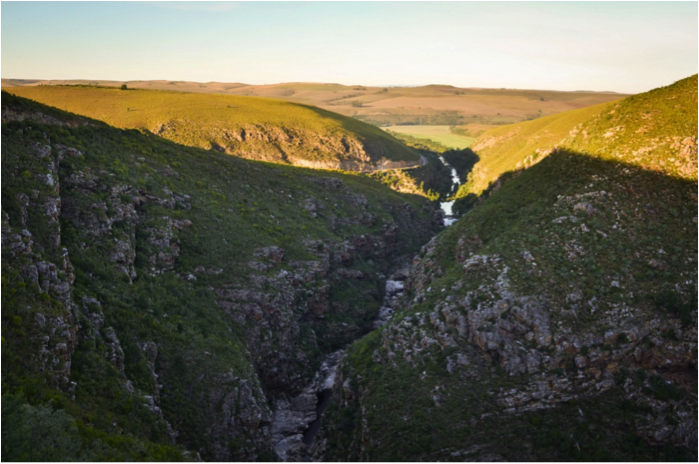 Giving you a true taste of the diversity that defines the Rainbow Nation, driving the Garden Route is a phenomenal experience. The Amalfi Coast in Italy is another coastal drive, with many little lookout points highlighting translucent waters and ragged cliffs along the way. A stunning feature is the colorful little towns that dot the coastline, where you are always welcome to stop for some delicious pasta, wine and gelato. 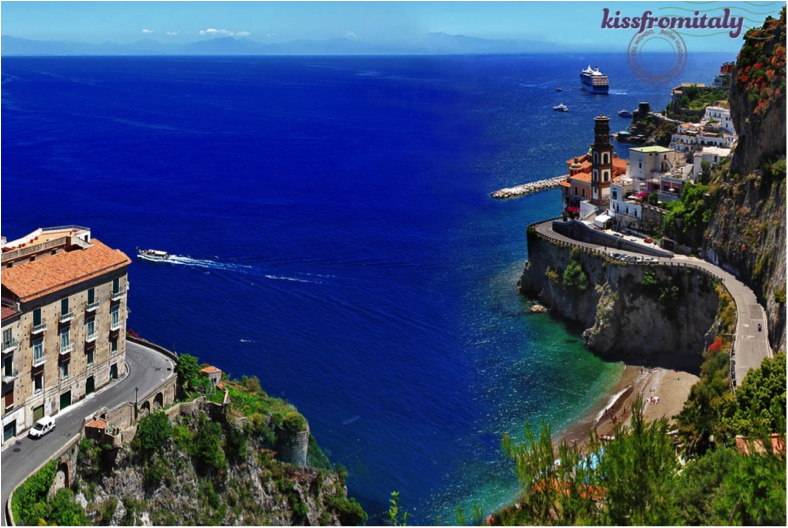 Hailed by many as one of their favorite holiday experiences the Amalfi Coast drive is one for the books. Hopefully, these ten beautiful drives will inspire you to update your Bucket List, and plan your next vacation pronto! Amongst other things to consider are making sure you have an international drivers’ permit if necessary, and a car (rental/your own) that is good condition and suitable for the terrain. You can even download certain car apps on your smartphone that track tire pressure, gas fill-ups and even provide safety alerts – this is especially useful for longer journeys. Make sure to be aware of weather conditions, and always carry water to hydrate – you never know where your next stop might be! Let me know where your next road trip takes you – after all, it’s never too soon for a holiday, is it?! Aerial Sightseeing In The U.S.